At Fraserview Dentist, we offer a variety of cosmetic services to help you maintain a bright and healthy smile. If you have missing teeth, you may benefit from a long-term solution like a dental implant that will help you replace your tooth with a strong, realistic-looking prosthetic. Consider how dental implants might work for you. A dental implant is a device that’s used to replace missing teeth. It consists of three pieces. A titanium root or frame that’s surgically secured in the jawbone holds the implant in place. An abutment or post is attached to the root, acting as a connector that will hold the tooth or teeth in place. A crown is then placed on top. This prosthetic tooth looks and feels very much like a regular tooth. The replacement tooth is typically constructed from porcelain or zirconium to mimic a real tooth as efficiently as possible. Your dentist will help you choose a color and shape that resembles your previous tooth closely so the implant is indistinguishable from a natural tooth. What Type of Dental Implants Do You Use At Your Clinic? We use Endosteal implants at Fraserview Dentist. Endosteal implants consist of a post that’s implanted directly in the jawbone. Once the gums heal around the initial implant, posts are added to support the artificial tooth. See us for a consultation to learn about dental implants and if they are right for you. 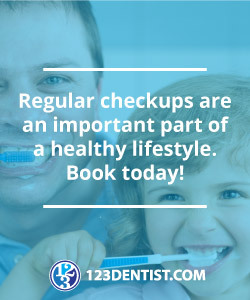 You should consider your dental health, budget, number of missing teeth, and personal preferences. How Do Dental Implants Compare to Bridges? Dental bridges are a common alternative to implants. If you have missing teeth, you’ll probably find yourself considering both options carefully. While dental implants are supported independently by a post or frame secured to the jawbone, traditional bridges are supported by your own existing teeth. To make a bridge, your dentist will create a crown for the teeth on either side of the gap. The bridge then fits in between, with these crowns to support it. A dental bridge does not require any surgical procedures. The initial process of getting a dental bridge is faster, easier, with less discomfort than getting dental implants. However, dental bridges have less stability and a shorter lifespan. Also, attaching the bridge to the neighbouring teeth requires damaging those adjacent teeth, potentially weakening them in the long term. And the bone underneath the bridge can shrink, causing bone loss, since the bone receives no direct pressure from use because the pressure is transferred to the adjoining teeth instead. Maintaining dental bridges is more difficult than maintaining a dental implant. Since the bridge is connected to your crowns, you’ll need to use special brushing and flossing techniques to keep your mouth clean. The teeth beneath the crowns are still susceptible to decay or damage, so meticulous care is essential. Dental bridges typically last about 10 years. An implant bridge is a possible alternative to a traditional bridge. If you’re missing three or more teeth in a row, you may choose a fixed bridge for the missing teeth rather than a series of individual implants. A fixed implant bridge is attached to dental implant posts on either end, with additional teeth included in the middle. This offers some of the convenience of a traditional bridge without the complications of supporting that bridge with your real teeth. It’s even possible to replace all of your teeth with an implant supported denture. A dental solution that can last for a lifetime when cared for properly. The best strength and stability of any tooth replacement option. A natural size and shape that suits your mouth, face, and smile. A permanent tooth that you never remove, unlike as you would with dentures. No risk of cavities in the implant. A slip-proof answer that doesn’t move when you eat, talk, cough, or otherwise move your mouth. The ability to bite and eat naturally. A dental implant is a long-term solution that you’ll quickly come to treat like a real tooth. If you choose to get a dental implant here at Fraserview Dentist, we’ll walk you through every step of the process so you know exactly what to expect with your implants. We work with you to create a personalized treatment plan that suits your needs and your schedule. Getting dental implants typically takes several visits. First, you’ll get the dental root implant. This takes approximately six to 12 weeks to heal. Once the root post or cage is securely affixed to the jawbone, you’ll return to have the abutment and replacement tooth inserted. You may need additional adjustments over the following weeks or months to get the fit just right. If you’re interested in a realistic-looking replacement for a missing tooth or teeth, contact Fraserview Dentist to learn more about how we can help you with a dental implant that looks and feels like the real thing.